2017 is on the way out and while the world as a whole looks to be having a tough time, the games industry has delivered hit titles, bold new ideas and the life-dominating PlayerUnknown’s Battlegrounds to keep us interested. Still, no time for nostalgia, a new year is calling. Have a browse through our pick of the biggest trends of 2018. All the biggest games are services now. Embrace it. In 2018 expect everything possible to be packed to the gills with DLC, microtransactions and season passes. Maintaining a triple-A game with new content and multiplayer support is expensive and, as a result, publishers are trying to find the best way to keep players on the hook. Expect to see publishers treated with derision and scorn for their attempts to survive. The biggest splash in 2017 wasn’t from loot boxes or even a big publisher, but the ridiculous success seen by Korean outfit Bluehole and its battle royale game PlayerUnknown’s Battlegrounds. It’s a coup that scores of developers are already trying to emulate. Some of these will be liberal appropriations like Epic’s Fortnite Battle Royale while others will borrow elements, like GTA Online’s Motor Wars. Through 2018 expect to see mechanics and entire games inspired by PUBG making an appearance, each of them hoping to see even a fraction of the success enjoyed by the groundbreaking title. It’s been ‘the year of VR’ for quite a few years now, but 2018 is the first that hasn’t had the weighty headset of expectation perched on its head. 2018 won’t turn the format into a mass market smash hit either, but rest assured, it isn’t going anywhere. 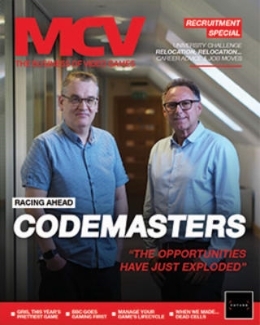 Speaking to MCV, Unity boss John Riccitiello said virtual reality right now is like a young Picasso: talented but not at a level to paint his masterpieces yet. 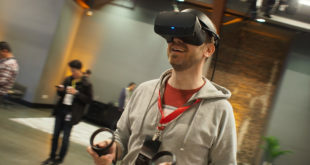 This means VR needs some time, and while the gold rush seems to continue, it’s going to be a few years before both software and hardware are refined enough to woo a mainstream audience. At the cutting edge of microtransactions, with a financial model that’s existed since the football sticker albums of the late 70s, loot crates could become persona non grata as the furore over Star Wars Battlefront II’s loot boxes looks ready to encompass the entire galaxy. It’s not the first game to be accused of unfair microtransactions, but the Battlefront II outcry has had the weird effect of elevating the Belgium Gaming Commission to hero status after they suggest loot boxes should be banned. That gamers have fallen in love with the idea of government intervention just a decade after uniting against US lawyer Jack Thompson to resist government censorship makes the mind boggle. Is it gambling? Maybe. Do the big publishers do enough to justify their profits? That’s up to the consumer. Do you trust the government to come in and make these decisions for you? This writer is veering heavily towards no. 2017 was a great year for games and 2018 looks set to have a variety of interesting games. The most anticipated game by far is Rockstar’s Red Dead Redemption 2, which is set to launch towards the middle of 2018 and GAME’s CEO described to us as the most important title of next year for the company’s results. This time last year we said Sea of Thieves was “set to amuse many with its co-op centred pirate antics” and a year on we’re still waiting for that amusement to start. The game should be a big hit, as it’s a truly modern mix of emergent, social, streaming-friendly gameplay. 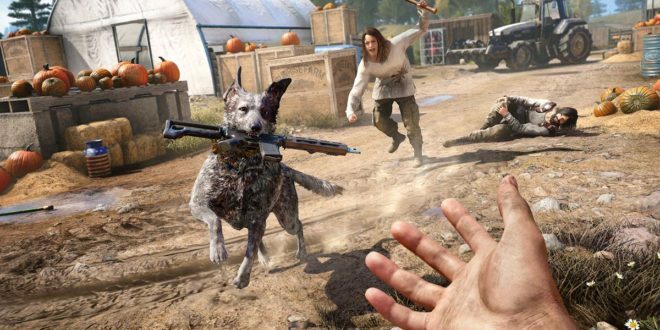 Elsewhere, Far Cry 5 will see players cast as the new deputy sheriff in town, waging a guerilla war across the U.S heartland against a religious cult. It’s a grimly topical setting, and could just be tripped up at launch by even grimmer real-world events, with mass shootings in the US becoming more common and more politically loaded. Keep an eye on Anthem too, Bioware’s MMOFPS might be giving off a ‘Destiny by EA’ vibe right now, but Bioware’s background in creating worlds and characters could deliver something special later this year. 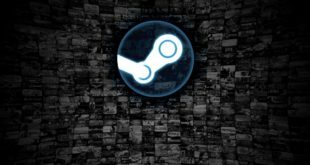 The end result of all of those microtransaction hooks and the shift towards games-as-a-service means that gamers are going to be pouring more money and time into each release. Money and time aren’t unlimited, so you can expect players to play fewer titles. This is going to make a competitive industry even more difficult: people have been struggling with discoverability on digital storefronts for years, but as people start to buy fewer games, these problems will be exacerbated. 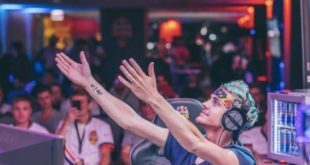 For the lucky few who end up retaining these players, there’s going to need to be a bigger push than ever to make sure these gamers have enough content and support. Expect this market to be frothy, with players picking their games based on a mixture of pre-release hype, online buzz and witchcraft, and developers and publishers will be bending over backwards to keep their audiences. 7: Will Brexit really mean Brexit? The wait for Brexit seems interminably long, and we still don’t know how long it will be. Whatever happens, 2018 will be critical to the nature of the UK’s departure from the EU. Brexit is unequivocally a bad thing, according to the UK games industry, although it has created some silver linings, such as reduced labour costs for overseas investors and more government attention than we’ve had in years. As things stand, the UK has one of the strongest games industries in the world, buoyed by easy access to European talent and the ease of trade for digital and physical goods across the European single market. There’s still time for the government to pack everything up and shelf the whole thing. We should be so lucky. Another year, the same story, but the continuing shift to digital in all areas of the games industry remains important. This year, Destiny 2 launched to just under half of the physical sales of its predecessor, and Activision’s financials claimed that half the sales of Bungie’s highly anticipated FPS were digital. Fast forward to late November, and Take-Two president Karl Slatoff told the Credit Suisse Technology Conference that he expects a purely digital future in “probably less than 20 [years] and maybe more than five [years]” as the friction on digital purchases starts to smooth out. Digital has been brilliant for the industry as a whole, providing a bewildering quantity of games and genres. But no one wants to give up on £750m of boxed games sales and you can’t squeeze a console down a broadband connection either (though Nvidia are giving it a good try). 2017 is turning out to be a good year for GAME. In August, shares soared by 35 per cent, and it recently sold off its Multiplay Digital business to Unity for £19m. Retail has been boosted forward by the Nintendo Switch, plus a stronger showing of key Q4 titles bodes well. Still, physical game sales continue to shift online. GAME is responding by putting a lot of pies in a row and stuffing its fingers into them: ecommerce, esports, events and in-store merchandising have worked well, in addition to commercial partnerships that have seen NFL athletes in GAME’s flagship Wardour Store location. Expect to see more bold moves from GAME in 2018 as it continues to reorganise the business to match the changing behaviour of consumers. 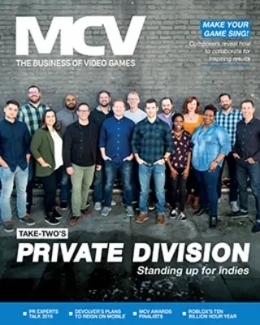 MCV is going to have a huge 2018. With our gaming titles unified under one brand and one site, we’re really excited at everything we’ll be able to achieve in the new year. 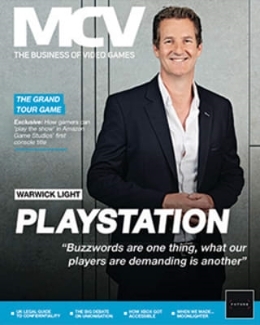 MCV is here to help the industry grow and prosper, get in touch with anyone on the team and let’s talk about making things bigger and better in 2018.